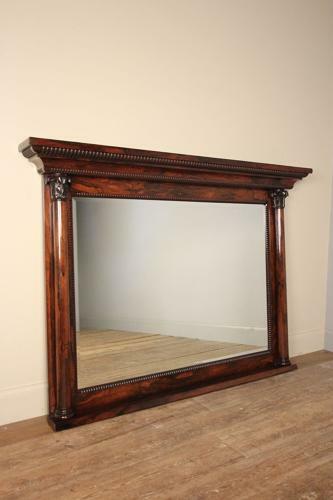 A very lovely example of a Rosewood George IV wall mirror of super quality, having a bevelled mirror plate, moulded and beaded top, the mirror flanked by 2 tapering columns with acanthus carved capitals. Wonderful original condition with good colour, strong grain and lustre. English, Circa 1825.